Para visitantes com um itinerário lotado, esse passeio de 1 hora pelo Coliseu é uma opção popular e conveniente. Aproveite o acesso prioritário com um ingresso pré-reservado para ingresso sem fila, que permite que você passe por filas de entrada notoriamente longas que podem durar até horas. Uma vez lá dentro, seu guia fornece uma riqueza de fatos pouco conhecidos e anedotas sobre os jogos sangrentos que uma vez ocorreram na arena do Coliseu. First of all we paid for an express tour that lasted 3hours.... Tour started late and we were given a mandatory 'free bonus' tour of the Roman Forum which we did not want! The tour guide for the forum was great and very knowledgable however, our guide for the colosseum was very hard to understand and she did not seem prepared. Totally ruined the experience for us. Will not use this company again! Really loved this tour. I was so glad I booked it as the Colosseum was really busy and people were waiting in long lines. Our group met just outside the colosseum and after a quick intro by the guide Flavio, he took us directly inside past the ticket lines. We also got priority for the security line. That saved a lot of time. Flavio was very professional and knowledgeable, always ready to answer any questions you may have. He really cared and made sure you had a great experience. Once inside he took us to the best vantage points and gave us a really great insight into the Colosseum and also life in Ancient Rome. On the back of the success of this tour we also booked a Vatican tour with this company as their Colosseum tour was brilliant. The Vatican tour was also wonderful and we had a really good time. Highly recommend both tours. This tour was so so good. We didn't have much time to do a full day in Ancient Rome so this tour was perfect. The tour itself was really great and the guide spoke perfect English and was really funny and full of life. It was a great bonus to skip the line. We were so glad that we had booked this tour as when we got there the lines were so long but we were able to walk past them and go straight in after we got through security. Can't fault this tour and their company at all. It was a highlight of our holiday. Wasn't planning on taking a tour as we were short on time, however the kids insisted and we are very glad we did! We actually saved a lot of time as we didn't have to line up for tickets the line was enormous! and we loved our guide. He was very informative and kept the kids entertained throughout. Highly recommend! The best way to see the colosseum .. Skipped the long line and enjoyed a fabulous tour with our guide Sarah who was fun and informative.. I've been in Rome before and used their service , we went back again and i have to say we were not disappointed. This company is spot on with the organisation plus our tour guide in the Colosseum , Amanda , was brilliant. 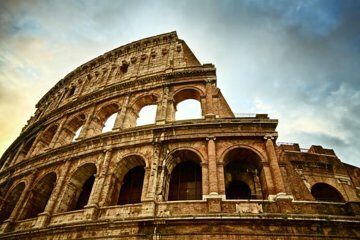 You get exactly what they advertise , skip the line , in depth tour of the Flavium Amphitheater Colosseum. We'll definetly use this company on our next trip. Absolutely loved this tour. Friendly and informative. I am travelling on my own, so this was the perfect way to soak up some culture and chat to new people. Would highly recommend! Did the skip the line tour with a company called show me Italy and am super impressed! Such a great tour and superb service! So pleased. The tour was informative and interesting and the guide Sarah was really cool and spoke perfect English! Looking to book another Italy tour with these guys real soon. Thanks for showing me a great part of Italy Show Me Italy!!! My wife and I took this tour and it was exactly what we were looking for. Our tour guide Sara was fun and lively and made the experience unforgettable. We did the short security line, and walked straight in, no need to wait in line for tickets. Great tour and good company.